BELMOPAN, Cayo District, Thurs. Sept. 1, 2016–The Senate will not appoint a Special Select Committee to investigate the findings of the recently tabled Auditor General’s report on corruption in the Nationality and Immigration Department for the years 2011-2013. During Wednesday’s Senate meeting, the Government commanded a majority who voted against that Opposition-sponsored motion. From the onset of the Senate meeting, it appeared that the social partners would have supported the motion in hopes of arriving at a 6 to 6 deadlock, triggering the President of the Senate, Lee Mark Chang, to have to cast the tie-breaker vote. However, that situation never arose because Senator for the Churches, Pastor Ashley Rocke, who had risen earlier in support of the Opposition’s motion when it was initially introduced, had a change of heart. Pastor Rocke voted against the motion after the Leader of Government Business in the Senate, Hon. Godwin Hulse, proposed instead to have the audit investigated by a joint select committee that would be a bi-cameral committee comprised of members of the Senate and the House of Representatives. Pastor Rocke joined Hon. Senator Godwin Hulse, Senator Dr. Carla Barnett, Minister-Senator Attorney General Vanessa Retreage; Macario Coy, Steve Duncan and Aldo Salazar in voting against the motion. On the other hand, Union Senator, Elena Smith, and Business Senator Mark Lizarraga voted along with Opposition Senators Paul Thompson, Valerie Woods and Michel “Micho” Chebat, who all passionately defended their motion to have the Auditor General’s findings investigated by means of a Senate Inquiry. The Opposition’s motion was therefore quashed by a vote of seven to five. At his press conference held at Biltmore today, Thursday, Prime Minister Dean Barrow supported the creation of the bi-cameral committee to investigate the audit report. 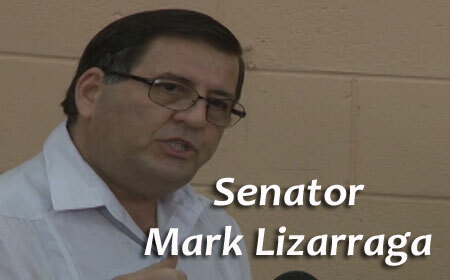 He has, on the record, indicated that Union Senator Elena Smith should prepare herself to serve as chair, while outrightly rejecting Business Senator Mark Lizarraga, who he and Minister Hulse insinuated may not have voted as he was instructed to do. However, the Belize Chamber of Commerce and Industry (BCCI) immediately fired off a strongly worded press release in defence of their Senator. According to the release, the BCCI met with the Prime Minister yesterday, Wednesday, but it wasn’t to discuss their position on the proposed Senate Inquiry. The statement further said, “The BCCI considers it improper for Senator Godwin Hulse to intimate to the Business Senator any discussion conveyed to him by the Prime Minister, as he is not an executive member of the BCCI and lacks the authority to instruct the Business Senator. “We fully support his decision and condemn any attempt to malign the Business Senator,” the BCCI said.